Total brake or without brake. 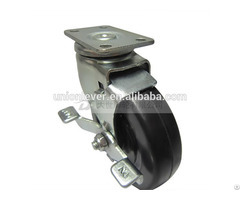 Holder: Stainless, chrome finish, Zinc finish, etc. 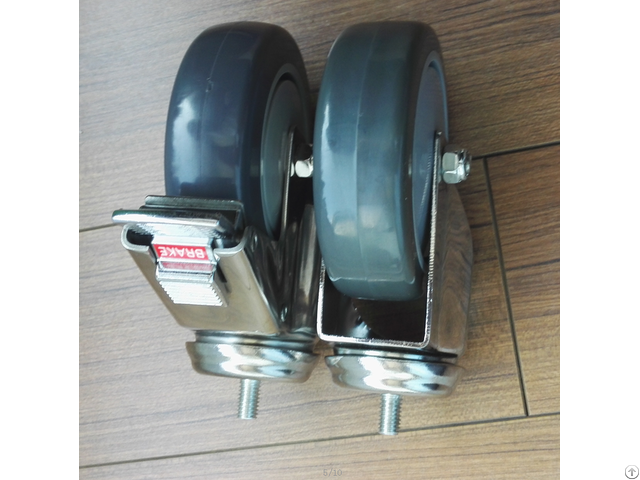 Wheel: 101*32mm, PU on PP wheel. Payment: 30% deposit after the order is placed, the rest 70% before shipment. 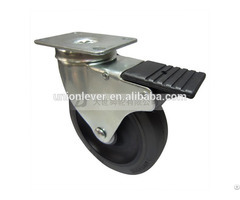 Business Description: We are professional metal products manufacturer, specializing in caster, wheel and trolley. 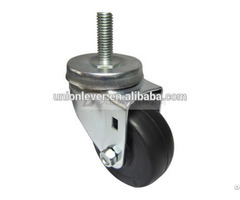 We do can supply various products and ensure the quality and competitive price of our products. If you have any interests or questions, do not hesitate to let me know. For any further information, we'll be ready to answer.